MBA program is Blended Learning – Let's find out! MBA program is Blended Learning – Let’s find out! I have always been a close observer and I find my train rides on my way to work very amusing. The reason is you don’t get bored even if you are travelling a longer distance because something interesting or the other keeps happening and that way I acquire inspiration in my writing. Once I was getting back from work when I overheard two classmates or rather friends chitchatting about their MBA classes. If you wouldn’t have heard their conversation, you wouldn’t have taken them as pals because they came from different walks of life. One appeared to be a fresh graduate from Northeast India (it’s not that I can read faces but yes with the accent it was clear) and the other was a Marwari businessman (little elder to the former one). With their conversation it was pretty clear that their goals were different as the elder one was pursuing MBA to take ahead his family business whereas the younger one dreamt to make it big in the corporate world. Now, you tell me isn’t it quite interesting how two people from completely different backgrounds, pursuing the same course to meet their respective dreams. What a blend! How could I have missed such an inspiration to pen down my thoughts on MBA Program being the base of blended learning? I believe that blended learning is the future of the industry and MBA programs are constantly adding inherent values to make that future even brighter. I’d like to share some reasons why I believe so. A BUSINESSMAN OR A FRESH GRADUATE – Blended learning welcomes everyone! 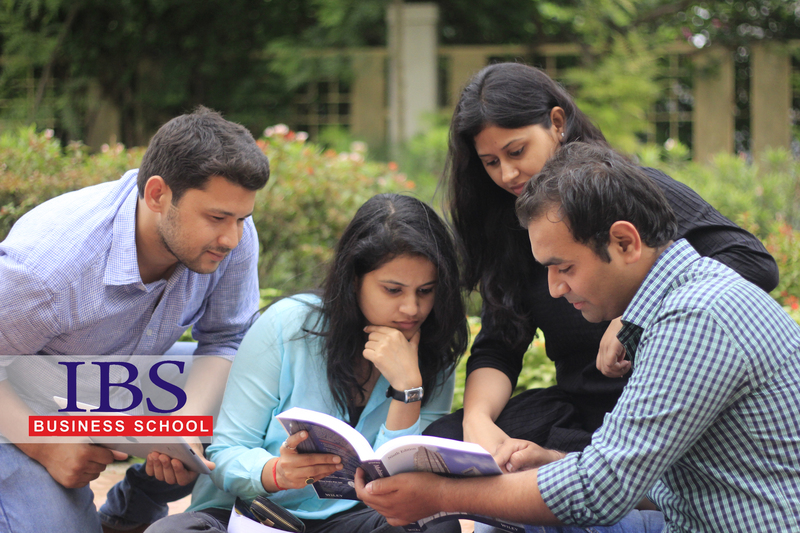 With my experience, I always find people from every possible background, be it engineers, arts graduates, science graduates etc attending MBA classes on a regular basis – the reason is simple, the course offers flexibility. Blended MBA learning program provides an opportunity for students to learn in a format that closely resembles their current work or business environment (work teams that stretch across time zones and cultures). And the program makes them work as a team. They come for classes, attend lectures, and complete their coursework on the timeline they have created for themselves with their teams. There’s no individual learning. You are trained to learn things in team wherein you get a chance to lead by being a team leader. That’ very important post the program because be it in a multinational company or a small business you set up, you have to run it with teams. Individual approach doesn’t work. I wish you could see those energetic faces of those friends who were travelling with me in train. All through their journey they were discussing about the engaging program, how it made them confident to speak in front of the whole class. The younger one even said it with excitement, “Dubey Sir is too good. I have never experienced professors making you feel like their buddies. I can approach him anytime with any doubts.” To which even I nodded. Students when come for their face-to-face sessions—they certainly don’t feel it is any less challenging! But they certainly learn to overcome it with each progressing day. And how? Well the way they get the freedom to decide on how to optimize their engagements with their professors and each other; they learn to deal with every challenge, from public speaking to team leading. 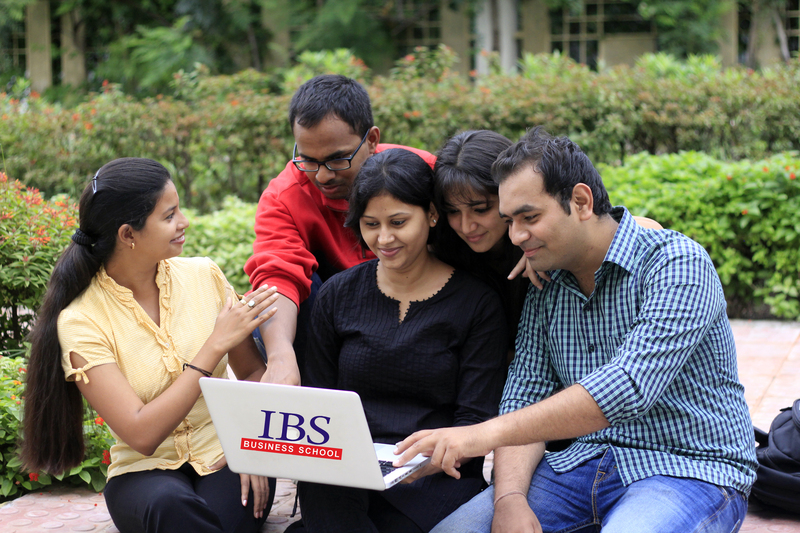 I have also mentioned in my previous posts that soft-skills @IBS create the perfect blend of knowledge with perfect execution. Be it the internship program that you take up during the course or the faculty members or those corporate guest lecturers; these things do help you to know the work culture well. Also, I feel that some of the strongest professional networks are made up of alumni who have completed an MBA program and have experience the benefits of blended learning not just in the course but in practice too. Not only do you have access to the larger business school community, you have a special relationship with those individuals with whom you’ve completed your degree. This again reminds me of the conversation the train mates were having. The elder one while teasing the other one, “Look don’t forget to get me business when you get into a better position at your multinational company.” While the younger one smiled and agreed to every word of it as he was determined that the bond isn’t getting over any sooner. In many cases, blended learning takes advantage of the use of cohorts—students move through the program together and end the program with the same group with whom they started. As a result of this intense experience, we find that the alumni of this program feel an even stronger affinity to each other and those who have completed the program either before or after them! These program help you build professional and personal relationships that serve you well throughout your career, providing essential mentoring and contacts. As I mentioned earlier, MBA opens the door for students from different parts of the country and even beyond, it becomes a social hub for students who get to know the cultures of others so well. Apart from learning discipline, ethical and moral values, the mixed culture makes one to be socially responsible. You must be thinking how! But it’s true the moment students are exposed to certain cultures or communities they learn the brighter side of them which otherwise people overlook possibly because of no interaction whatsoever. Students start thinking rationally and not what society has been forcing them to think. The acceptance also increases as they start learning together as team members. The blending of different cultures prepares them to face even the corporate world, builds their confidence to strike any conversation with any of the team member, and helps them distinguish between what’s right and what’s not. It makes them grow as a social person. I remember, how our dean fondly use to call our batch as a – Mini India batch for the diversity of students. Visit us at IBS or check out our social communities and experience the blend & benefits of it, you just cannot ignore.